Secondary education that leads to employment is the key. Individuals in the HIRE Education Employment Initiative will start their journey by developing an Individual Hiring Plan. United Way will launch the HIRE Education Employment Initiative April 10 which benefits adults (18+) who haven’t graduated and are seeking steady employment. U.S. Census data tells us 9.4%, or 31,000, adults in Dane County over the age of 17 do not have a high school diploma. 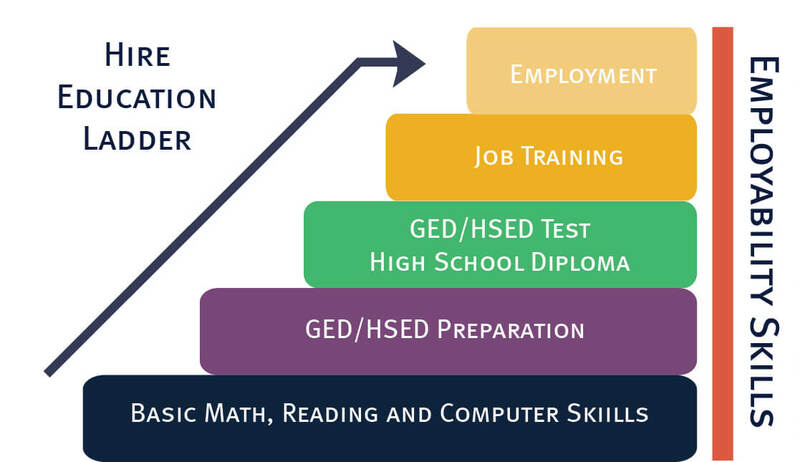 Individuals in the HIRE Education Employment Initiative will start their journey by developing an Individual Hiring Plan which includes an assessment of their current educational level and helps them set goals that place them on the track to finding and maintaining employment. If you are an employer looking for skilled entry level employees or know someone who would be a great candidate for this initiative visit www.HIREinDane.com for more information.